A wedlock is the most precious and cherishable bond that a couple shares, binding them together for better or worse and for sickness or in health, to love and to cherish till they both live. A marriage not only binds two people together but their families too. A lifetime of true commitment, boundless love and untold promises is most of what a marriage has to offer. Hindu weddings are an extensive and sophisticated affair, lasting anything from 4 days to about a week. Innumerable ceremonies and loads of guests and their best wishes form a major part of a Hindu wedding. 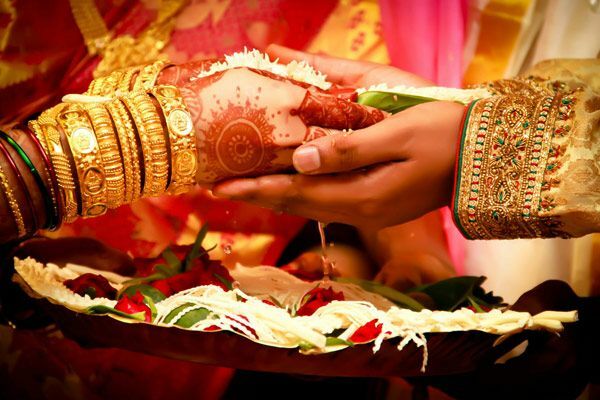 As per Vedic astrology and Hindu belief system, auspicious muhurats hold a core value in a Hindu Wedding. It not only assures the best time to tie the knot for a lifetime but also ensures safety from many inauspicious energies and adversities. In the year 2017, we bring to you the most auspicious muhurats for a Vivah, so that nothing comes in between you and a lifetime full of happiness and prosperity! Please note that we have not specified Vivah Muhurat during July 2017 to October 2017 due to Devshayan Kaal.